Click HERE to get out of somebody's frame. 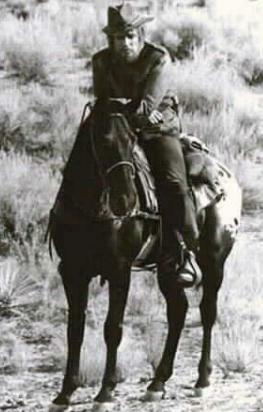 Do you recognize this horse and the rider? The horse had a blaze, but it was dyed black for the occasion. The rider has appeared in a few movies.